Timothy Shell was a documented bully during his employment at Tyson Foods. In 2010, he was written up for intimidating a subordinate employee. In 2011, he was investigated after he openly harassed another employee. In 2012, Mr. Shell was again disciplined, this time for threatening subordinate employees with regard to their use of overtime. Finally, in 2013, it was reported to Human Resources that Mr. Shell had: repeatedly cursed at work, was condescending, undermined another supervisor in front of subordinates, and was unprofessional toward his co-workers. Based on the findings, Tyson’s Human Resources fired Mr. Shell. In his termination letter, it stated that Mr. Shell was fired because of his inappropriate behavior and it referred to his numerous warnings. Mr. Shell challenged these grounds for his termination in a lawsuit against Tyson Foods. He alleged that he had been terminated because he had taken a FMLA leave just a few weeks before his termination. A federal district court dismissed his lawsuit in its entirety, finding that Mr. Shell was unable to show that his termination had anything to with his FMLA leave. He had also asserted an age discrimination claim based on some comments made by a new manager. 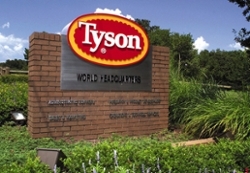 However, the extensively documented problems in his employment showed that Tyson had a legitimate reason for terminating him. He had continued to be abusive after receiving several warnings. There was no evidence that the investigation into him was done to support a discriminatory aim. Mr. Shell failed to produce any evidence that the persons responsible for firing did not actually believe that he had engaged in the misconduct. Ultimately, the close timing of the FMLA leave to his firing (one month) could only make out the bare minimum of a FMLA retaliation claim. He had not been able to establish that the true reasons for his termination were merely a pretext for discrimination.